Indiana Jones-Themed Restaurant at Disney Springs! Downtown Disney will soon become Disney Springs, but the new name is only one of many changes coming to the popular spot. 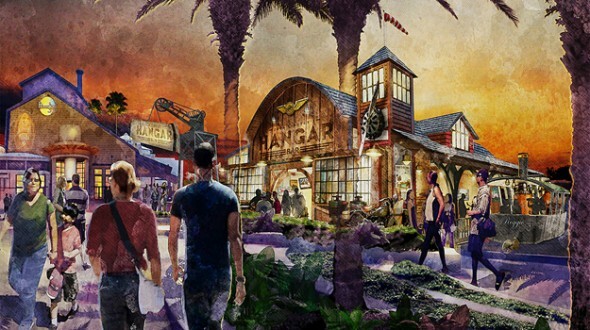 One confirmed change is the addition of Jock Lindsey’s Hangar Bar, a restaurant inspired by Indiana Jones: Raiders of the Lost Ark. For those of you who are a little rusty with your Indiana Jones history, you may be asking yourself “Who was Jock Lindsey?” This article from Geek.com explains the (semi-vague) reference. If the name doesn’t hop right off the screen and scream “Raiders of the Lost Ark” to you, that’s okay. Jock is the snake-loving pilot played by Paul Sorenson who helps Indy get in and out of jams in his first big screen outing. 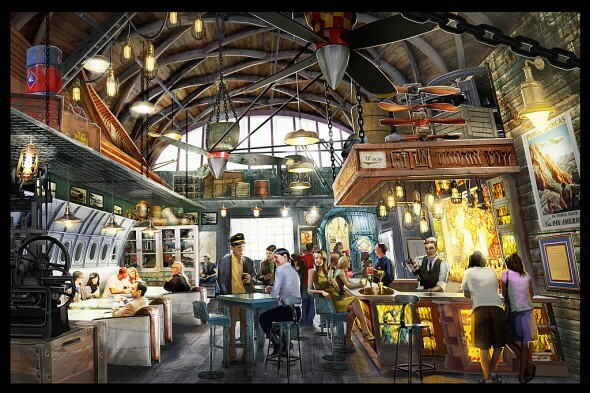 …the restaurant will reflect Jock’s job by incorporating propeller ceiling fans, airplane windows along the wall, and even a diving bell booth. And that’s just the inside! Guests can also dine outside on Jock’s dry-docked steam ship Reggie, named after his pet snake. Items on the menu include: Hovito Mojito, Air Pirates Everything Pretzels, and Rolling Boulder Meatballs. Sounds exciting, don’t you think? I can’t wait to visit the new Disney Springs!